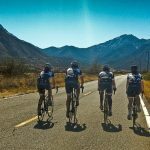 ROAD BIKING TUCSON, ARIZONA – Cycling up the Mt Lemmon Highway in Tucson, Arizona is an epic ride and will rival some of the best cycling climbs across the country. You start off at about 2,557 ft surrounded by saguaro cactus and mesquite trees and climb as high as 8,198 ft to pine tree vegetation and cool air. Park in front of Le Buzz Caffe located at the intersection of Catalina Highway and East Tanque Verde. 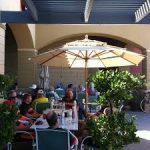 They serve the best coffee and breakfast in Tucson. You can hob nob with many professional cyclists there. The road is in great shape with a bike lane for most of the ride. On the way down if you can keep up with traffic, then take center lane. If you love to climb and descend this is the ride for you. Play it safe on the way down as Mount Lemmon is famous for accidents. Lance Armstrong uses Mount Lemmon in preparation for Tour De France. And you will see many professionals use Mount Lemmon as a training ground. These same cyclists also go to Madera Canyon as well. 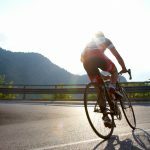 To increase your climb, 2.89 miles and 760 ft of climbing to the ride you can climb up to the Mt Lemmon Ski area. Just before Summerhaven toward the top of the ride, turn right on Ski Run Rd. 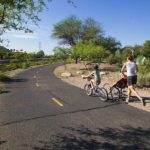 Tucson Bike Rentals and Tours at BikeTucson.com delivers and picks up carbon rental road, mountain, hybrid, kids bikes to all the entire Tucson, Green Valley, Oro Valley metro area. We are the official Tucson, Arizona bicycle guiding and rental arm for the Arizona Bicycle Association at BikeAZ.org. All cyclists receive free helmets and maps. When cycling Tucson, only rent from the best.